I posted last time about nutmeg being good for eczema. Turns out, though, that nutmeg is even more the superhero than I thought. 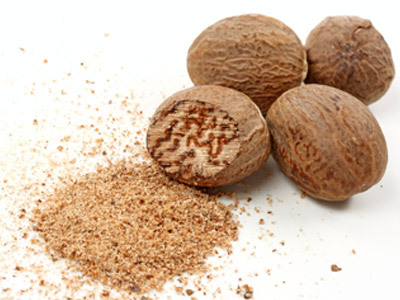 After posting about it last time, I continued my research on nutmeg because it couldn’t hurt to do more with the sweet-smelling spice. And my research was not in vain. Last night I tried a nutmeg paste as a blackhead remover. And wow. I really thought it was too good to be true, but it worked. And it smelled lovely. And my skin glowed. So really, this one needs to be tried. BY YOU. Here are some great facials using nutmeg. Enjoy! I made a paste of water and nutmeg until I reached the desired consistency. But it was still difficult to keep the nutmeg on. Instead I probably could have used egg which is pore-constricting and cleansing. You could use it as a scrub first and then leave on. For normal (or delicate skin) I would use whole milk. It’s gently exfoliating and refreshing.